The Hamilton Company recently fulfilled a service request at your residence. Please take a moment to tell us how we are doing by completing this brief survey. Your responses will help us provide the highest level of customer service to all of our residents. * 1. Was your service request received in a prompt and professional manner? * 2. Was your service request handled within the timeframe quoted by the service department? * 3. Was your service request completed to your satisfaction? * 4. 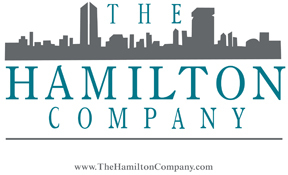 Is there anything else you would like to let The Hamilton Company know about your service request?